"Skunks, Bogies, Silent Hounds, and the Flying Fish: The Gulf of Tonkin Mystery, 2-4 August 1964"
"Vietnam Study, Casting Doubts, Remains Secret"
Washington, D.C., 1 December 2005 - The largest U.S. intelligence agency, the National Security Agency, today declassified over 140 formerly top secret documents -- histories, chronologies, signals intelligence [SIGINT] reports, and oral history interviews -- on the August 1964 Gulf of Tonkin incident. Included in the release is a controversial article by Agency historian Robert J. Hanyok on SIGINT and the Tonkin Gulf which confirms what historians have long argued: that there was no second attack on U.S. ships in Tonkin on August 4, 1964. According to National Security Archive research fellow John Prados, "the American people have long deserved to know the full truth about the Gulf of Tonkin incident. The National Security Agency is to be commended for releasing this piece of the puzzle. The parallels between the faulty intelligence on Tonkin Gulf and the manipulated intelligence used to justify the Iraq War make it all the more worthwhile to re-examine the events of August 1964 in light of new evidence." Last year, Prados edited a National Security Archive briefing book which published for the first time some of the key intercepts from the Gulf of Tonkin crisis. The National Security Agency has long resisted the declassification of material on the Gulf of Tonkin incident, despite efforts by Senate Foreign Relations Committee staffer Carl Marcy (who had prepared a staff study on the August 4 incident); former Deputy Director Louis Tordella, and John Prados to push for declassification of key documents. Today's release is largely due to the perseverance of FOIA requester Matthew M. Aid, who requested the Hanyok study in April 2004 and brought the issue to the attention of The New York Times when he learned that senior National Security Agency officials were trying to block release of the documents. New York Times reporter Scott Shane wrote that higher-level officials at the NSA were "fearful that [declassification] might prompt uncomfortable comparisons with the flawed intelligence used to justify the war in Iraq." The glaring light of publicity encouraged the Agency's leaders finally to approve declassification of the documents. 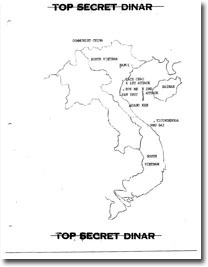 Hanyok's article, "Skunks, Bogies, Silent Hounds, and the Flying Fish: The Gulf of Tonkin Mystery, 2-4 August 1964," originally published in the National Security Agency's classified journal Cryptologic Quarterly in early 2001, provides a comprehensive SIGINT-based account "of what happened in the Gulf of Tonkin." Using this evidence, Hanyok argues that the SIGINT confirms that North Vietnamese torpedo boats attacked a U.S. destroyer, the USS Maddox, on August 2, 1964, although under questionable circumstances. 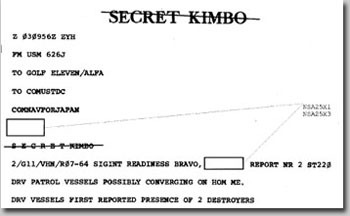 The SIGINT also shows, according to Hanyok, that a second attack, on August 4, 1964, by North Vietnamese torpedo boats on U.S. ships, did not occur despite claims to the contrary by the Johnson administration. President Johnson and Secretary of Defense McNamara treated Agency SIGINT reports as vital evidence of a second attack and used this claim to support retaliatory air strikes and to buttress the administration's request for a Congressional resolution that would give the White House freedom of action in Vietnam. Hanyok further argues that Agency officials had "mishandled" SIGINT concerning the events of August 4 and provided top level officials with "skewed" intelligence supporting claims of an August 4 attack. "The overwhelming body of reports, if used, would have told the story that no attack occurred." Key pieces of evidence are missing from the Agency's archives, such as the original decrypted Vietnamese text of a document that played an important role in the White House's case. Hanyok has not found a "smoking gun" to demonstrate a cover-up but believes that the evidence suggests "an active effort to make SIGINT fit the claim of what happened during the evening of 4 August in the Gulf of Tonkin." Senior officials at the Agency, the Pentagon, and the White House were none the wiser about the gaps in the intelligence. Hanyok's conclusions have sparked controversy among old Agency hands but his research confirms the insight of journalist I.F. Stone, who questioned the second attack only weeks after the events. Hanyok's article is part of a larger study on the National Security Agency and the Vietnam War, "Spartans in Darkness," which is the subject of a pending FOIA request by the National Security Archive.